For the strength of the wolf is the pack, and the strength of the pack is the wolf. 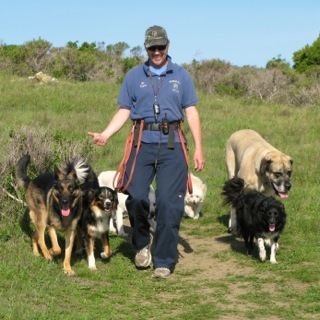 My goal, whether in training or in walking, is to instill a sense of balance in our canine friends lives. This "balance" can be achieved, simply enough, with exercise, discipline and affection. This equation is universal within the dog training community and is the absolute foundation of my business. Ready for your pup to join our pack?